Thread: Non big brand scopes? Was reading a thread where a Tract scope was talked about, these and few other manufacturers seem to have good quality scopes (if you believe the internet) and lots of features such as exposed turrets/zero stops etc. Had anyone got one of these or similar that they have had good or bad experience with? 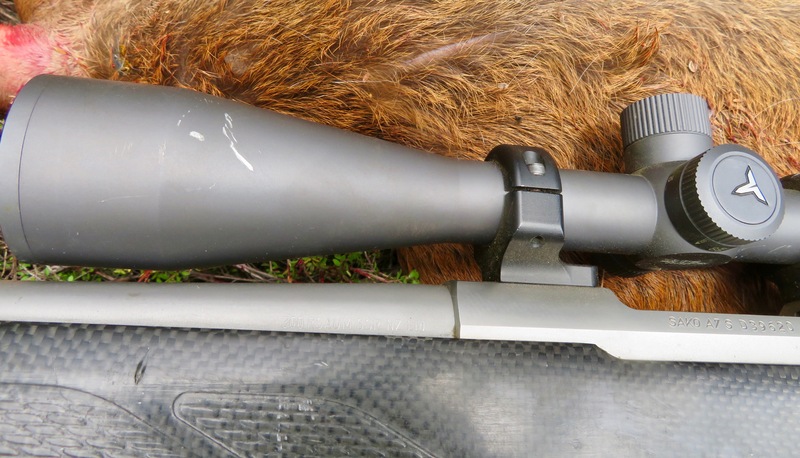 This is Tahr’s post I’ll link Puffins review of my scope next. Sorry I couldn’t work out how to put them both on the same post. So it’ll have to be a 2post. If you can get through @Puffin s review you’ll see that they are very good scopes for the money. It dials up/down left/right perfectly. I’m yet to take it out into the bush as I’m just setting up a new rifle to put it on, more info to come. Tract are great 'scopes. Mine are the Toric model, 3-15. I have 2. @Brian on here has one as well. The Toric comes with a nice standard covered elevation turret that you can dial, as well as a taller turret and zero stop which is covered. You can get a covered ballistic turret too, which mine has on it. Works great. And they can take a bash. paddygonebush, Mooseman, Micky Duck and 4 others like this. Tract are not particularly well known, but the few reviews that are out there are positive. Another not so well known name in NZ but popular in the USA is Athlon, the have quite a few different models most of which I don't know anything about, but I know their Ares and Cronus scopes are very highly thought of. I believe Slimy Squirrel? Did a review of the Ares BTR and was quite impressed for the price. Some of the tasco scopes are also exceptional value, I learnt this with their noghteater model. What are the internals like? The only cheap scopes you can dial that don't just break cross hairs and that dial accurately are Nikons. Looking at Vortex. sure they can handle a knock or scrape but can they hold zero after that? Have a read of @Puffins review, the Tract guys worked for Nikon. Have you tried one? Puffin and I checked the Tract with a scale at 100m we proved it was bang on through the range. There are many other features that put it with some of the popular mid range scopes. We tried thumping it and it held zero, I have no intention of testing how big a knock it can take. If I knock my scope on any rifle I check zero. We intend on fitting it to my new rifle this week so there is more to come, Tahr has tested his in the field an as far as I can tell he is happy with it. All times are GMT +13. The time now is 12:54 PM.